London craft week (May 2016) presented us with a vast array of exhibitions, events and shows. One VERY exciting event was hosted at the Carl Hansen+Søn showroom where Mourne textiles were weaving and upholstering a select number of chairs in the Carl Hansen range. A handloom brought all the way from Ireland was reassembled from shipping and busy weaving throughout the craft week. This loom is incredibly old and it’s still used as a key piece of machinery for Mourne’s textile production today (I heard that this was the very one used to make Robin Day upholstery back in 50’s and 60’s). The collaboration with Mourne Textiles and Carl Hansen + Søn celebrates both family owned companies in their passion for craftsmanship, design, creativity and integrity to each handmade item. Mourne Textiles was created by the Norwegian Grandmother of the family, Gerd Bergersen. Her talents began studying design and hand-weaving at the Home Industries School for Women in Oslo, then travelling to the UK working as a designer for Welsh woollen mills. Gerd moved back to Norway in 1937 where she became designer to one of the largest textile mills in Norway and Advisor to the Norwegian Home Industries. In brief, Gerd married an Englishman one year before the war, they travelled together to the far east and studied many different weaving techniques. Being commissioned to create 22 hand woven rugs for the Palace of the Maharajah of Gwalior. An accident of war resulted in Gerd settling in the foot hills of the Mourne mountains, Ireland, where she then set up Mourne Textiles. Importing looms and machinery from Norway and Gerd’s vast experience at a young age, she was set to have a company with great success, creating textiles for Eames, Robin Day and Conran, just to name a few. With daughter Karen Hay-Edie and grandson Mario now at the helm, they aim to preserve Gerd’s legacy and expertise, continuing to keep Mourne textiles alive while keeping the traditional values. (Below) The Colonial Chair, designed by Ole Wanscher, 1949, using Mourne Mist fabric in Donegal Grey. (Below) The Colonial daybed cushion, designed by Ole Wanscher, 1950, using Mourne Mist fabric in Donegal Grey. Rug and cushions from Mourne Textiles. This event highlights the craftsmanship, quality and detail with each item made, there is beauty within each piece and an evident passion for craftsmanship and design. Carl Hansen + Søn furniture can be specified with almost any upholstery fabric including from Mourne Textiles. These are beautiful fabrics. Thank you for posting such an interesting background story. Thanks June! Yes I agree the Carl Hansen products are SO nice, great to discover a textile company with Norwegian history, I wasn’t aware until Carl Hansen collaborated, they’re amazing! Gosh these are beautiful and your photography is spot on! 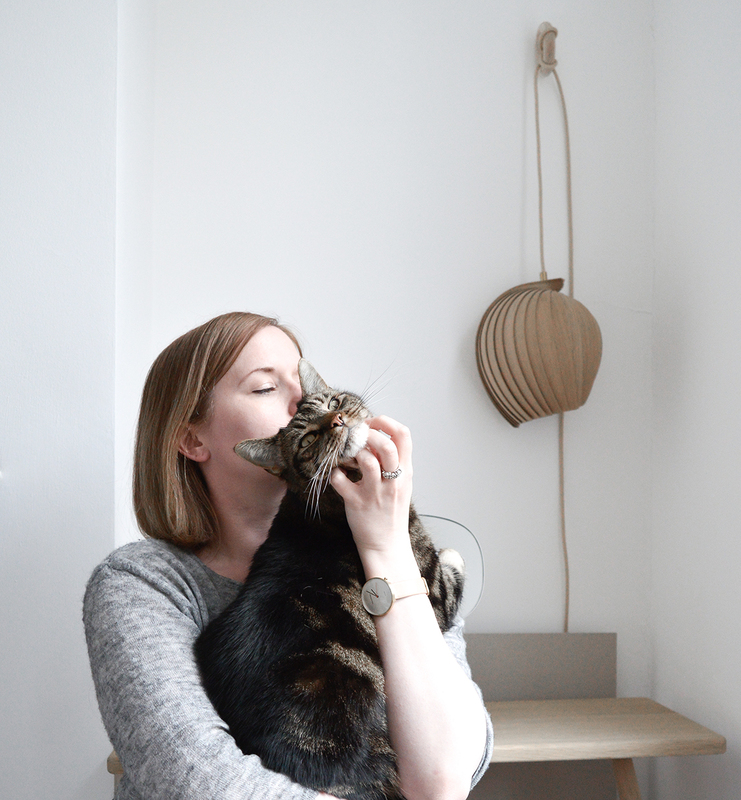 Lovely post Hannah, and what beautiful fabrics – sad to have missed this! So beautiful. That rug hanging on that brick wall *swoon* Family heirlooms in the making.